Seven roles of the school nurse have evolved from this definition. The school nurse provides direct health care to students and staff. The school nurse provides care to students and staff who have been injured or who present with acute illnesses. Care may involve treatment of health problems within the scope of nursing practice, communication with parents for treatment, and referral to other providers. The school nurse uses the nursing process to assess, plan, implement, and evaluate care for students with chronic health conditions. This care should begin with the development of a nursing care plan (also known as an individualized health care plan) that should include an emergency action plan. The school nurse is responsible for medication administration and the performance of health care procedures that are within the scope of nursing practice and are ordered by an appropriately licensed health care provider. The school nurse also assists faculty and staff in monitoring chronic health conditions. The school nurse provides leadership for the provision of health services. The school nurse provides screening and referral for health conditions. The school nurse promotes a healthy school environment. The school nurse provides for the physical and emotional safety of the school community. The school nurse monitors immunizations, assures appropriate exclusion from and re-entry into school, and reports communicable diseases as required by law. The school nurse provides leadership to the school in implementing precautions for blood borne pathogens and other infectious diseases. 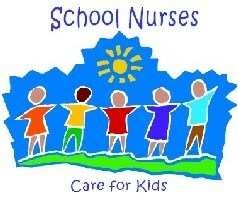 The school nurse also assesses the physical environment of the school and takes actions to improve health and safety. The school nurse promotes health. The school nurse provides health education by providing health information directly to individual students, groups of students, or classes or by providing guidance about the health education curriculum, encouraging comprehensive, sequential, and age appropriate information. They may also provide programs to staff, families, and the community on health topics. Other health promotion activities may include health fairs for students, families, or staff, consultation with other school staff such as food service personnel or physical education teachers regarding healthy lifestyles, and staff wellness programs. The school nurse is a member of the coordinated school health team that promotes the health and well-being of school members through collaborative efforts. The school nurse serves in a leadership role for health policies and programs. The school nurse serves as a liaison between school personnel, family, community, and health care providers. The school nurse participates as the health expert on Individualized Education Plan and 504 teams and on student and family assistance teams. As case manager, the nurse communicates with the family through telephone calls, assures them with written communication and home visits as needed, and serves as a representative of the school community. Sleep gives the body a chance to repair itself after the activities of the day, and gives children's bodies their best opportunity for growth. How much sleep should a child have? * Children from 4-7 years need 11-12 hours of sleep every day. *Children from 7-9 years need 10-11 hours of leep every day. *Children from 9-12 need 9-10 hours of sleep every day. A tired child: ...cannot concentrate on his/her school work. ...is more nervous and irritable when studying and playing. A well-rested child: ...is cheerful and ready to get up in the morning. ...is more willing and able to follow instructions. ...learns more in school. ...is able to learn more easily and is better prepared for a good days work at school. ...usually has fewer colds than tired children. ...feels more like playing. Getting the Amount that's right for you is what counts! If you're a teenager who participates in sports or other physical activities the calories may be higher. 1. Get Acquainted with your child's teacher early in the year. Educating your child requires the combined efforts of both school and home. 2. Take your child to the library. Help him/her to pick a book they would enjoy. 3. Have your child read aloud to you. 4. Read to your child from the newspaper, magazines, and good children's books. Then ask questions to check their comprehension. 5. Drill your child on his/her math facts. 6. Help our child write a letter to relatives and friends. Stress neat handwriting. 7. Help your child study thier weekly spelling list. 8. Have our child help plan and cook a meal. Read the recipe together and plan shopping preparation. 9. Make meal times pleasant times for sharing good things with the whole family. 10. Discourage junk foods. Provide fruit and vegetable snacks. 11. Stress good school attendance. Be sure they get enough rest be sure they eat breakfast or that they get up earlier to eat breakfast at school if their school participates in that program. 12. Be positive about school learning. 13. Encourage them with comments and praise for the good things they do. This will help them build a good self-image. 14. Have a particular studey time. Provide a quiet place to study. 15. Encourage your child's creativity. Help with their chosen projects, but don't do them. 16. Remember each child is unique. Don't compare them with their siblings or the other children in the neighbor hood. 17. The amount of time you spend with your child is not as important as the QUALITY of that time. Make sure they have your undivided attention some time during the day.